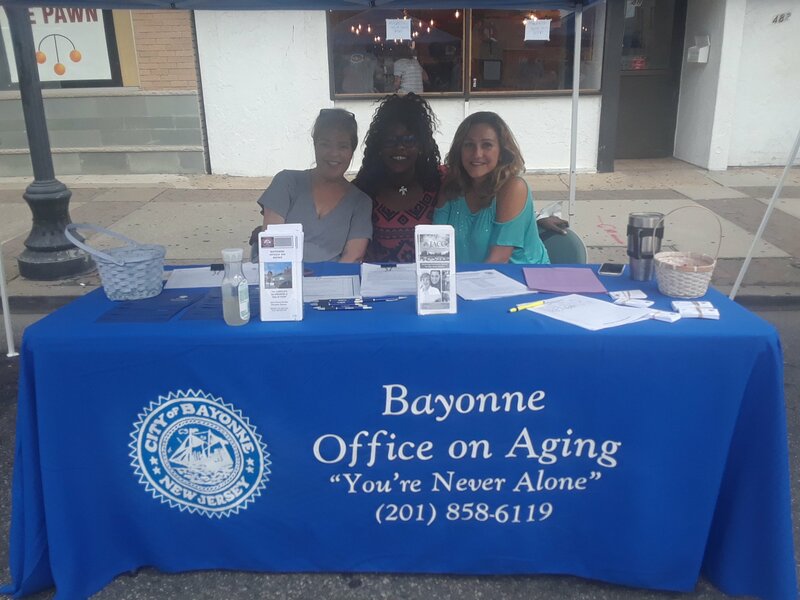 Bayonne residents braved the over 90 degree weather and came out to honor Natonial Nightout in Bayonne on August 7, 2018. 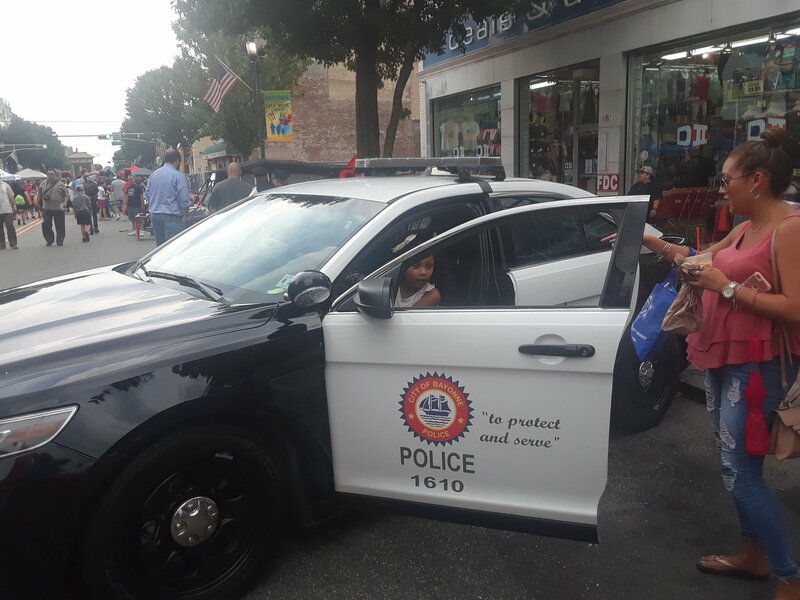 Represented by Hudson County’s Law enforcement such as the Bayonne Police Department and Hudson County Sheriff’s Office the event was loaded with plenty of things to do for Bayonne residents, from inflatables rides for the children, vendors and a special treat for children; sitting in an actual Bayonne Police cruiser and BFD Fire truck. 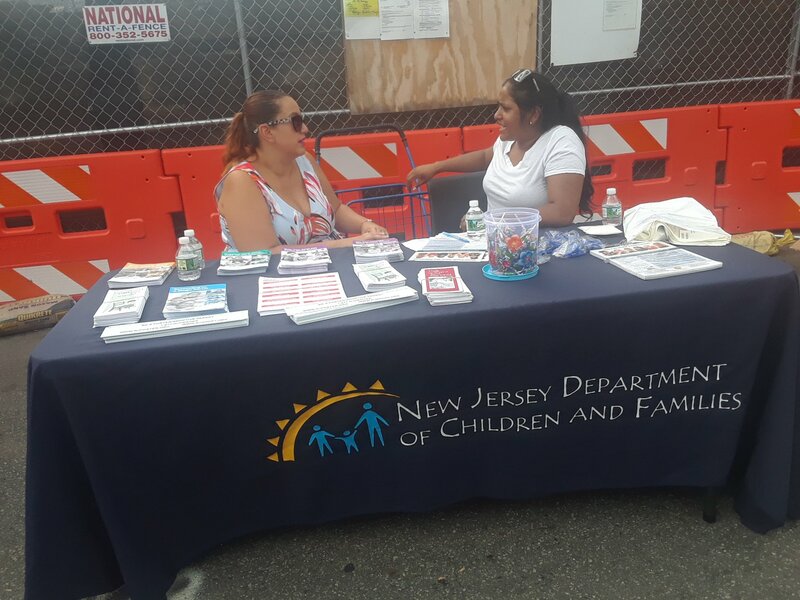 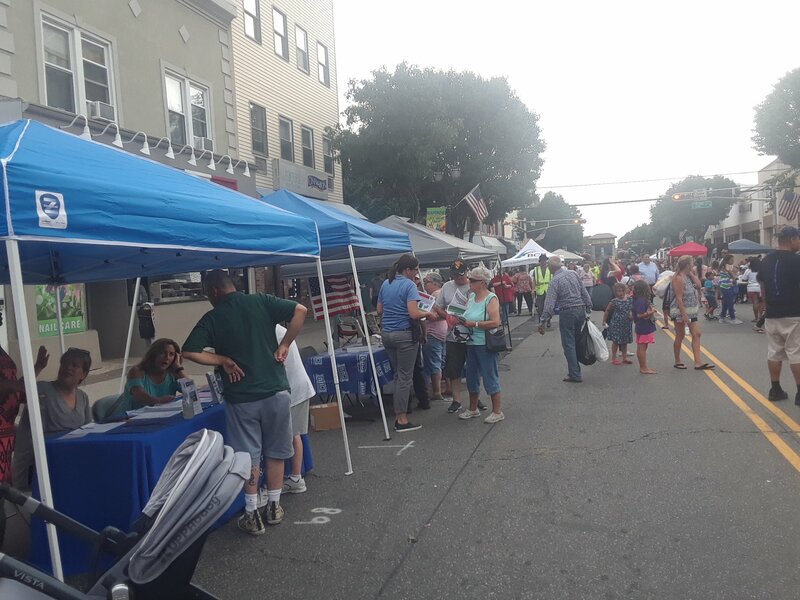 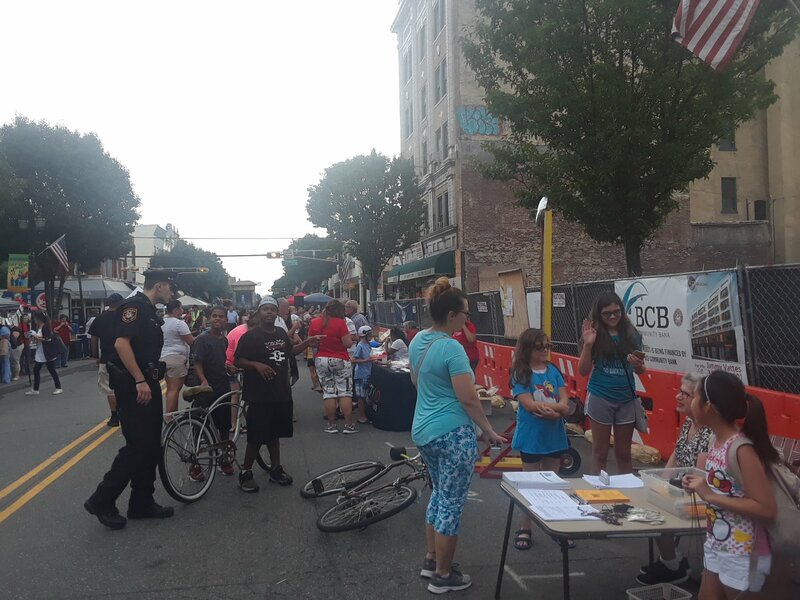 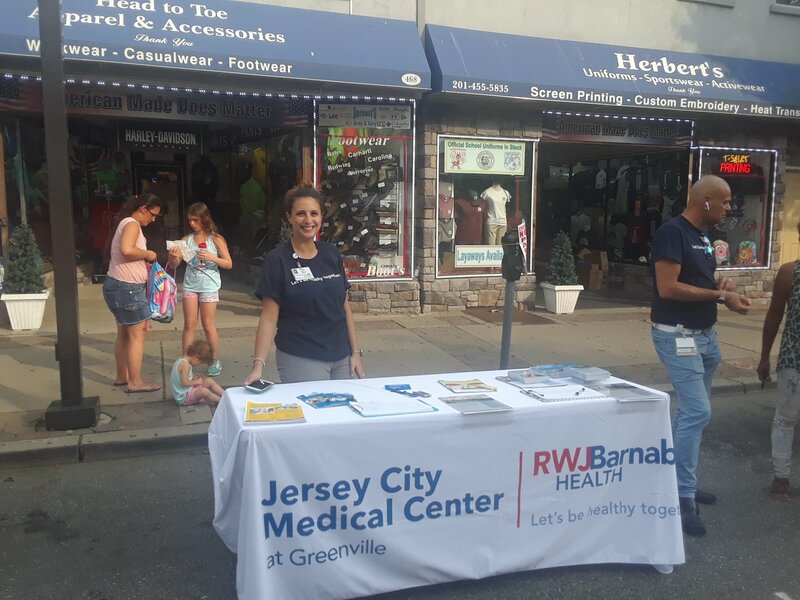 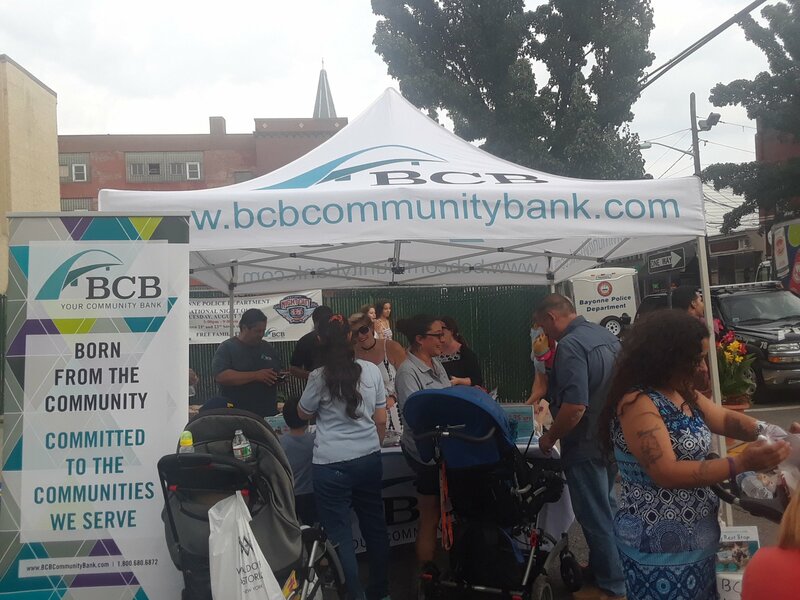 Information was handed out by the many vendors at the event Jersey City Medical Center, Bayonne Community Bank, The City of Bayonne Office on Aging , Grace Lutheran Church and many others who were stationed along the event route between 21st and 23rd streets, along Broadway. 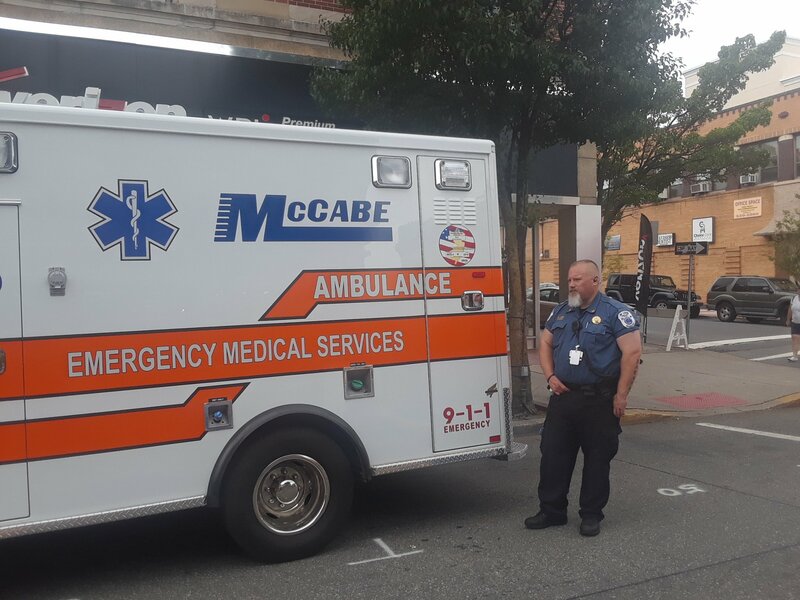 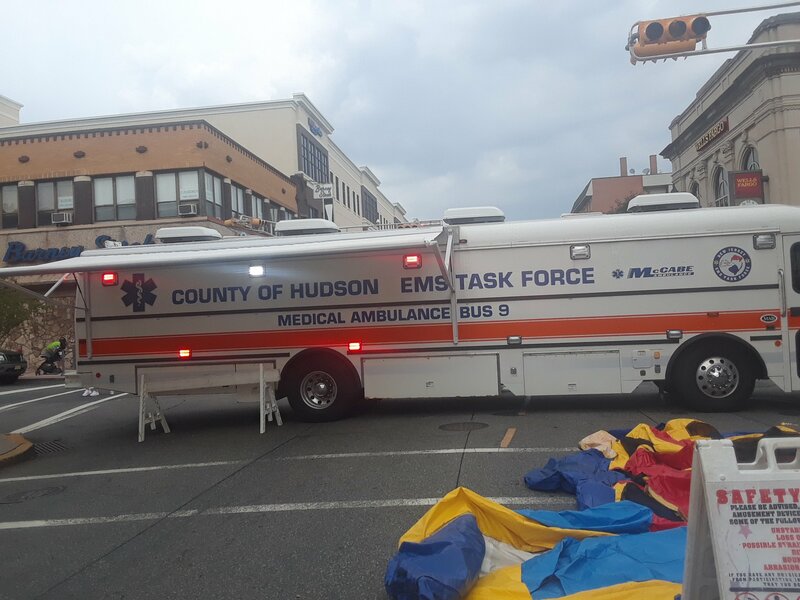 Also on hand McCabe Ambulance service and a large vehicle from the County of Hudson EMS Task Force. 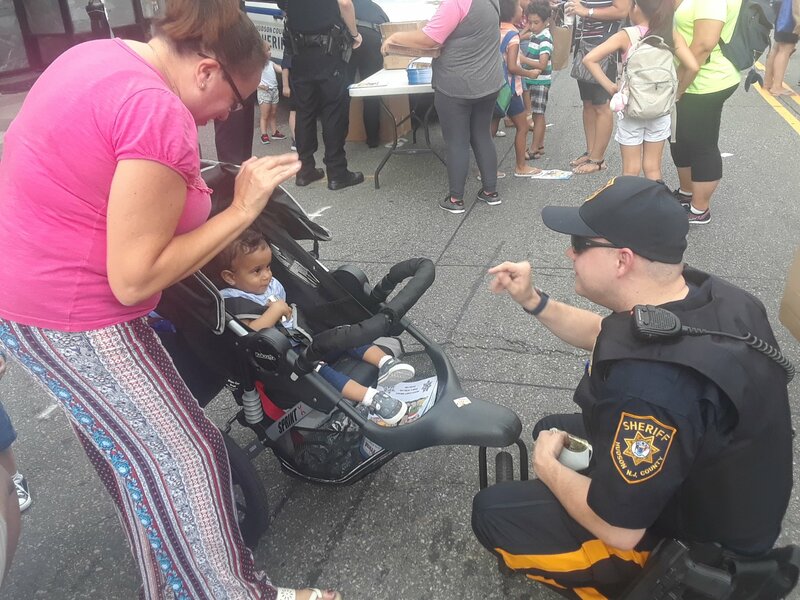 Bayonne Police DepartmentBayonne Police Department Schedules Vehicle Auction Wednesday May 31Bayonne Police Department Vehicle AuctionHook Road BayonneVehicle Auctions in Hudson CountyWhen is the Bayonne Vehicle Auction ?Where is the Bayonne Police Pound? 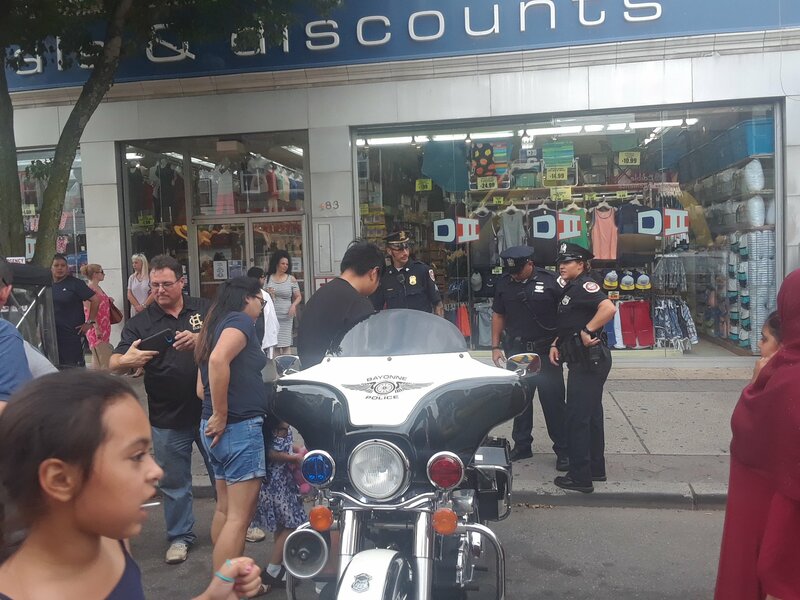 Mayor Jimmy Davis announced that the Bayonne Police Department will hold a public auction of motor vehicles on Tuesday, March 14, at 9:30 a.m., at the Bayonne Police Pound, 330 Hook Road, in Bayonne. 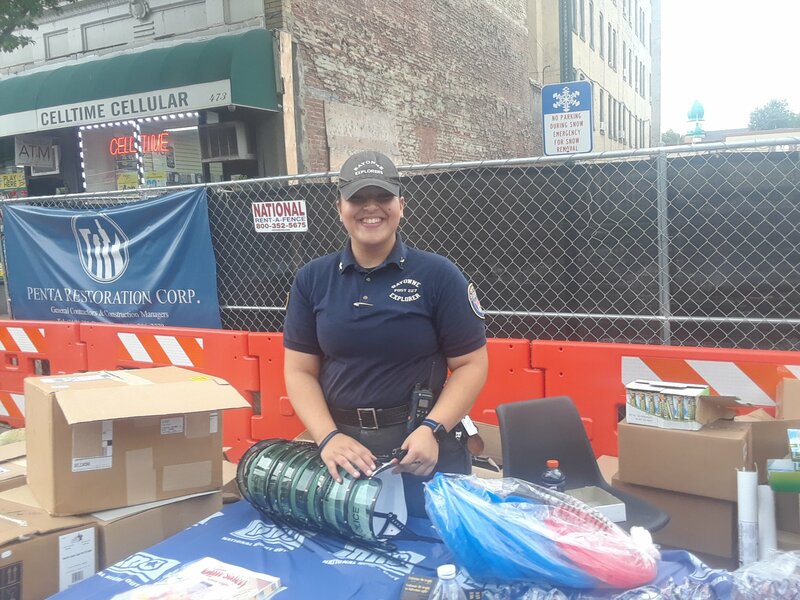 The vehicles that will be featured at the auction came into the possession of the Police Department as a result of abandonment or failure of owners to claim them. 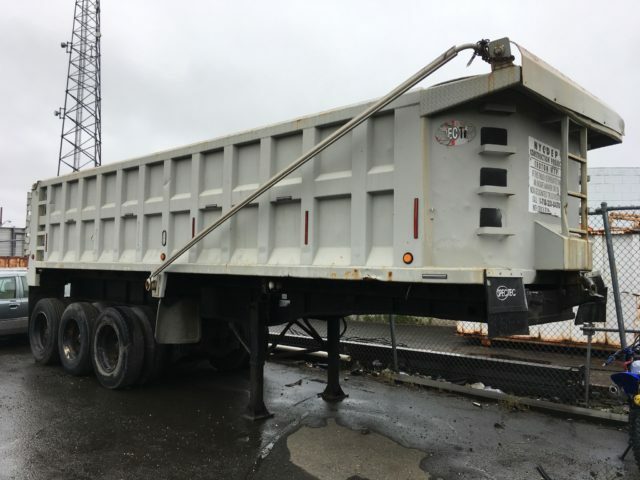 The vehicles scheduled to be auctioned on Tuesday, March 14, will be available for inspection by prospective bidders on Monday, March 13, from 9:00 a.m. to 1:00 p.m. at the Bayonne Police Pound. 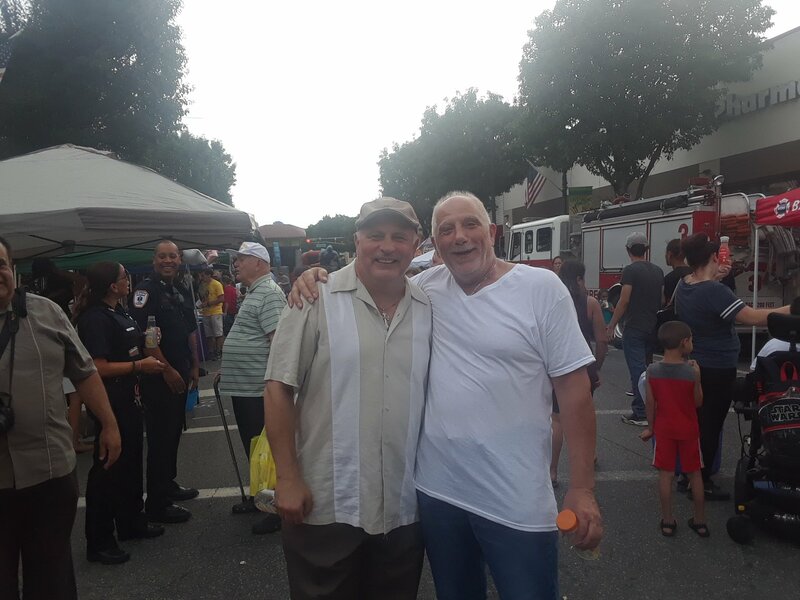 330 Hook Road in Bayonne.abandoned autosAbandoned carsBayonne Mayor Jimmy DavisBayonne Police DepartmentBayonne Police poundPublic Vehicle Auction in BayonneWhere is the Bayonne Police Pound in Bayonne? 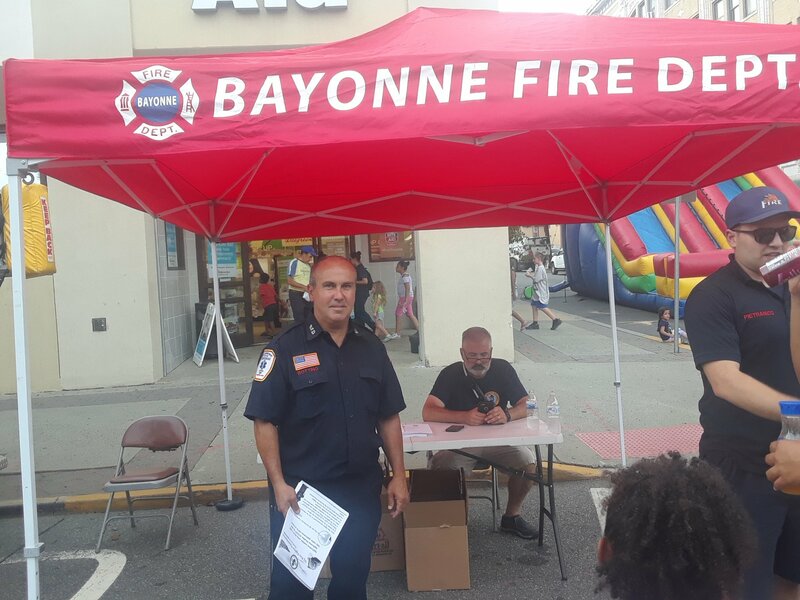 The Bayonne Police Department will hold a public auto auction Bayonne Mayor Jimmy Davis announced the auction will be held Tuesday, February 7, at 9:30 a.m., at the Bayonne Police Pound, 330 Hook Road, in Bayonne. 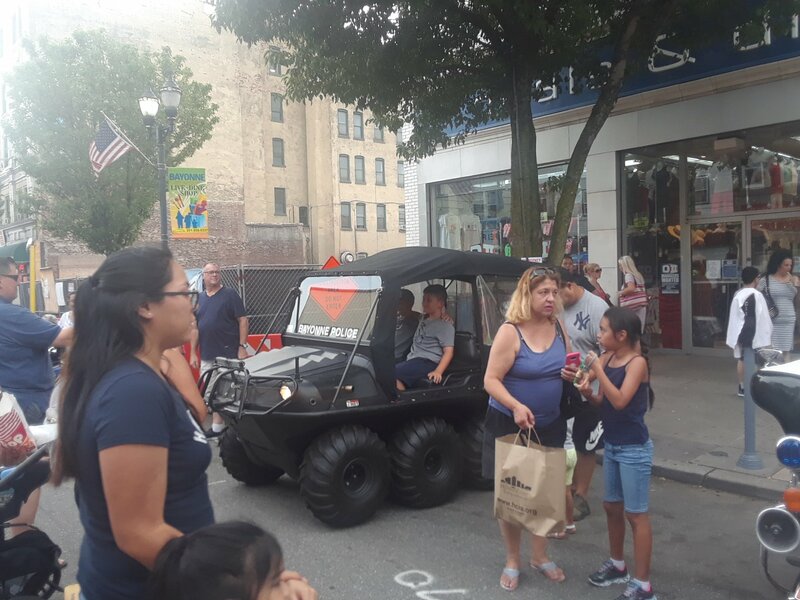 The vehicles that will be featured at the auction came into the possession of the Police Department as a result of abandonment or failure of owners to claim them. The vehicles scheduled to be auctioned on Tuesday, February 7, will be available for inspection by prospective bidders on Monday, February 6, from 9:00 a.m. to 1:00 p.m. at the Bayonne Police Pound. 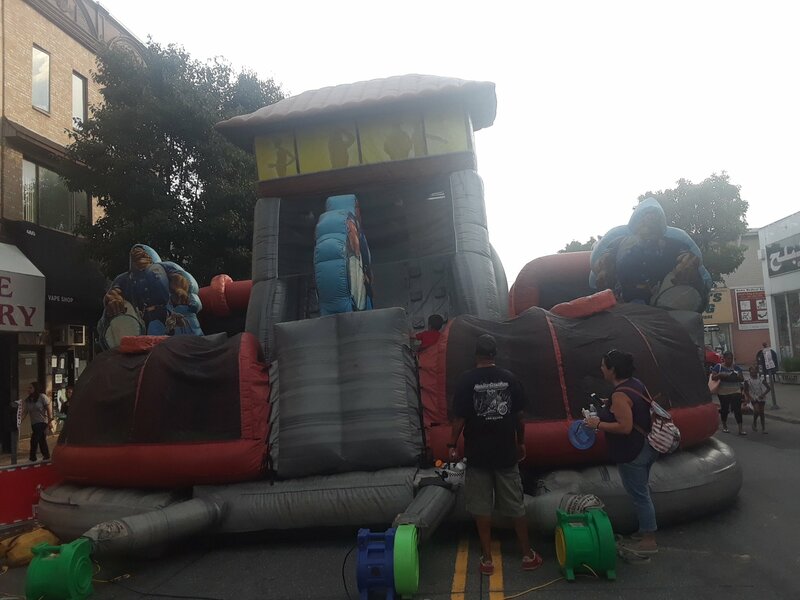 made its way up Broadway. 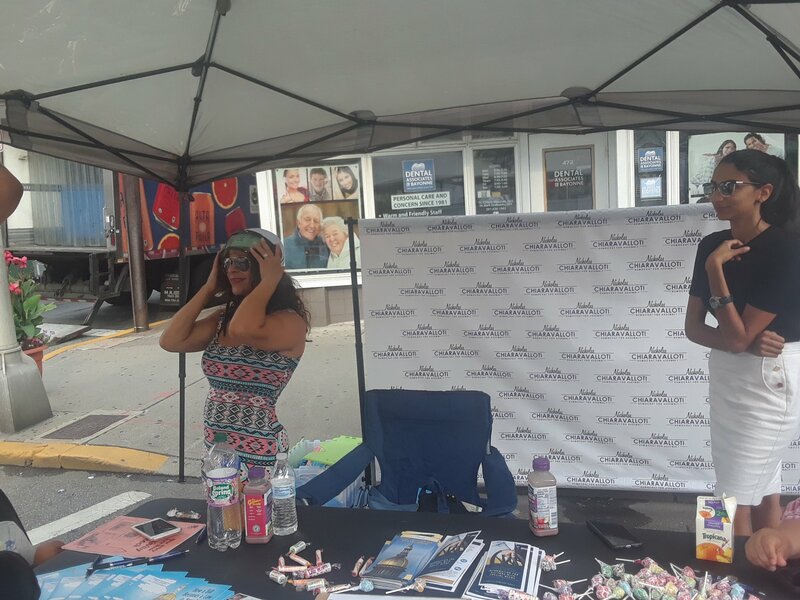 The River View Observer was there to catch some of the day’s festivities. 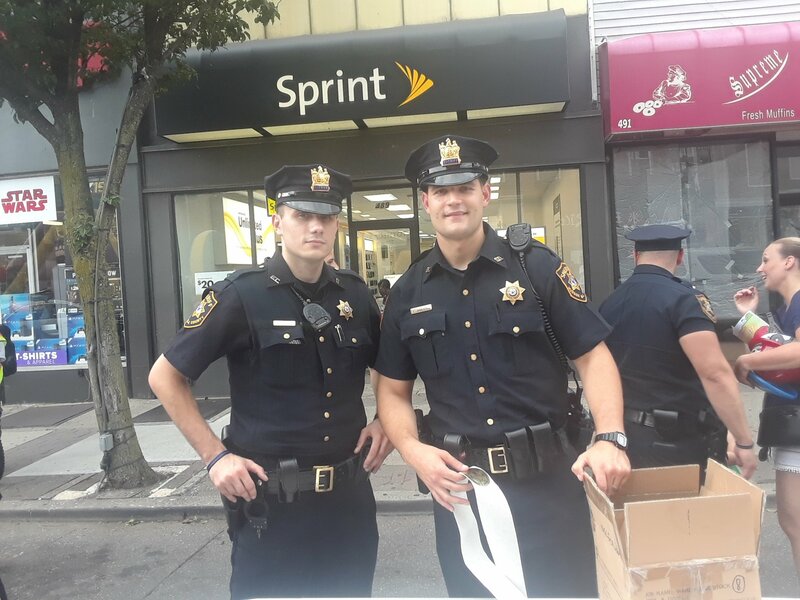 City of Bayonne’s St. Patrick’s Day Parade 2013 from River View Observer on Vimeo. 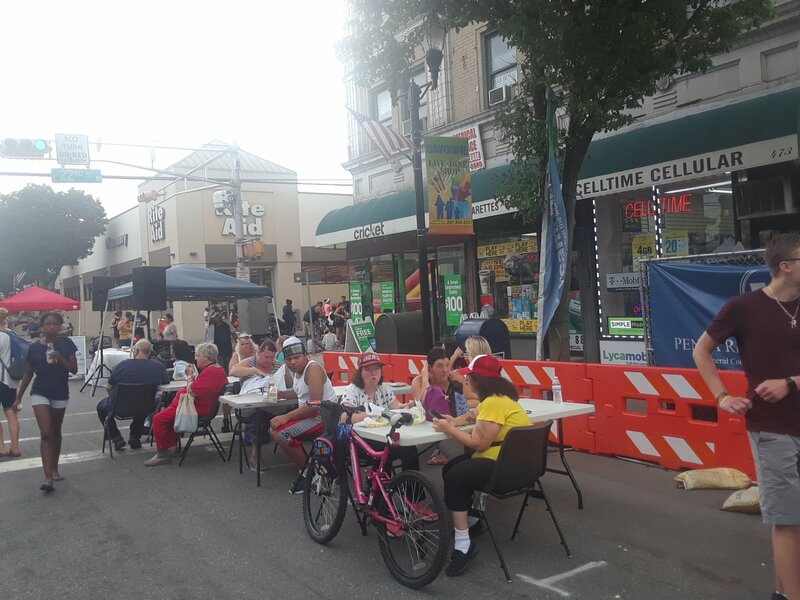 The crowds came out today for the City of Bayonne's St. Patrick's Day Parade. 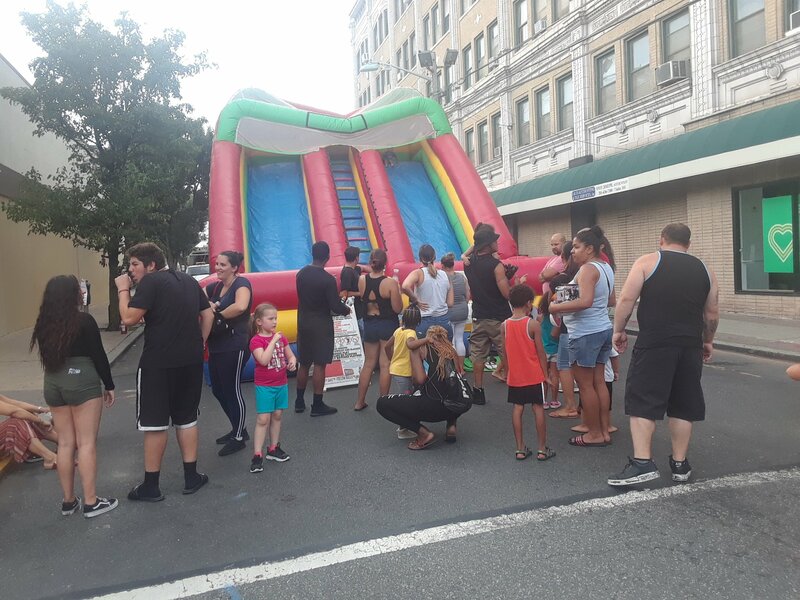 The River View Observer was there to capture today's festivities.